Well, after conferring with some of my Paix Running pals, we have decided to make a few changes to Chicot Challenge to make it more accessible to all runners who might like to try out trails but who don't want to run 20 miles or run in the dark in the woods. Sooo... as you can see by the name of the website, Chicot Challenge is now a 60 mile relay with teams from 2 - 5 members. Now, teams of 5 are able to break down the mileage so that any one runner only needs to be able to cover 12 miles at an average of a 14 minute pace to be able to finish within the time limit. This way, hopefully, more folks will be tempted to create a team and see what all of the buzz around trail running is all about. If we get more than 10 teams in any division, we will go to second and third place awards as well. This means that the race will start at 7 am on March 21, 2020 and end at 9 pm, allowing all teams to hang around for the finish to cheer for their fellow runners. I think this will make the whole experience more exciting for everyone. New logo / medals being designed as we speak. I will post them when I have a proof. We are so excited to get to hang out with you guys again next month! After an incredible race season with Loup Garou and Red Dirt being so well received, this is our chance to relax and hang out with you guys while you have some fun on the trails. As with any Paix Running race, we are deep into planning how best to make this a fun event for all of you. The beauty of Chicot Challenge is in the people. The teams that come out for a little friendly competition are what makes this event so unique. While you guys are running, we will be cooking! 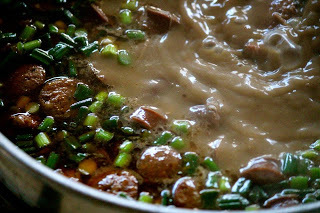 Just a sample of the menu for the runners: gumbo, burgers, boudin (while supplies last), jalapeno sausage, etc., and beer. There is always beer. We close out the race with egg and sausage burrito's and mimosa's. So, get your team together and get signed up! Tshirt deadline is February 28th. You might get a shirt after that time, but I can't guarantee the size. Can't wait to hang out with all of you in the most beautiful park in Louisiana! 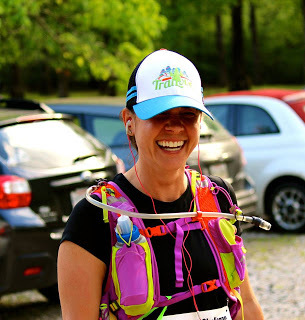 Great footage of the Chicot trail by our friends at Pang Wangle, and an interview with the owner of Paix Running, Edie Couvillon. After the success of our first year (it was so much fun!) 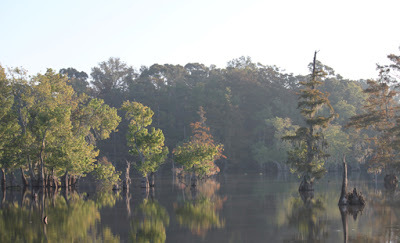 Chicot Challenge will be held once again in the beautiful Chicot State Park on March 24 - 25th, 2018! The day was filled with smiles like Shaun's! Mark your calendars and build your team. Click HERE to register! Be sure to check out the pictures from the 2017 race - just click on the pictures tab. Good times, great people, homecooked food, beautiful trail...what more could you want? No one leaves hungry. It's a Cajun thing. Ahh, Chicot State Park. This trail was the site of my first ever trail run, and many ultra distance training runs since. This is where my trail running family trains, and it is near and dear to our hearts, which is why we are so excited to have all of you come out and spend time in this magical place. 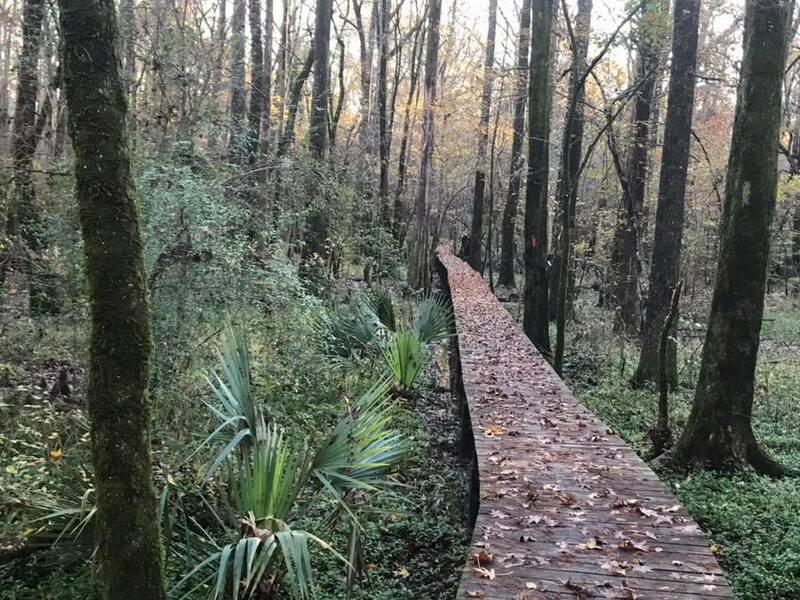 From hardwood forests with bridges through cypress swamps to piney woods and beautiful views of Lake Chicot, this trail has a little bit of everything. March 25 - 26, 2017 is the date of the very first Chicot Challenge 100 Mile Trail Relay, with options of 2,3 or 5 person teams. The theme of this race is FUN! Check out the links above for the Race Document as well as registration info. Come on down to Cajun country to spend the weekend laughing, eating and making new friends. Cajun hospitality at its finest.